Anna Lvovsky examines the origins and scope of the judicial presumption of police expertise for the Harvard Law Review. Lvovsky asserts that the idea of a police officer as an expert developed out of the police professionalization movement, which gained prominence in the 1950s. Trial court judges began to welcome police officers as expert witnesses on crime. Subsequently, courts began to use police officers as expert witnesses to analyze probable cause and authorize investigatory stops. Finally, police expertise was relied upon to act as a check against the risk of arbitrary enforcement and to “salvage” controversial statutes from vagueness. Lvovsky argues that the professionalism movement was centered upon the expertise of the members of the occupation, a commitment to higher values, and bureaucratic organization and freedom from external influence. She asserts that the professionalism movement’s most successful efforts were the internal restructuring of police departments, including centralizing authority with police chiefs, limiting police tasks to crime prevention, and dividing work into different specialized departments. Lvovsky asserts that police expertise comes from basic experience and education, both in conjunction with universities and in independent police academies. According to Lvovsky, once the caliber of the police form was improved, reformers wanted credit for it. In the 1930s, the International Association of Police Chiefs (IACP), the most prominent national organization in the police reform movement, organized a public relations committee and began to reach of to the media to pitch flattering articles about police departments while downplaying reports of misconduct. Locally, representatives of local police departments began similar public relations campaigns. In the 1950s, the professionalism movement began to advocate to the courts. Beginning in the mid-1950s, a series of constitutional decisions that limited police investigative powers created an “uproar” among the police communities. 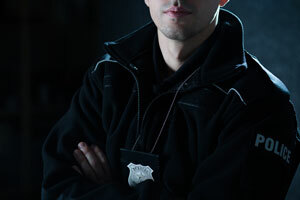 Mallory v. United States restricted the right of officers to interrogate suspects prior to arraignment and Mapp v. Ohio required the exclusion of evidence when officers violated the Fourth Amendment. Lvovsky opines that the police reform and professionalism efforts had some success. As a general rule, police began to keep better records, conducted more systemic investigations and were free from excessive political meddling. Police officers were generally seen as more competent and harder workers. In 1947, a survey of occupational prestige ranked police 55 out of 90. In 1963, police ranked 47 out of 90. Lvovsky questions whether the modern trend of asking police to testify as experts on complex issues ranging from gambling to prostitution to narcotics is helpful to courts and asserts that the reliance upon police expertise in these diverse areas may not have a sound basis. Anna Lvovsky is an Academic Fellow at Columbia Law School. She focuses on criminal law and procedure, constitutional law and evidence, especially the legal and cultural dimensions of policing, judicial uses of professional knowledge, and the resolution of gender, sexuality, and morality. Her article is forthcoming in a 2017 Harvard Law Review Journal.